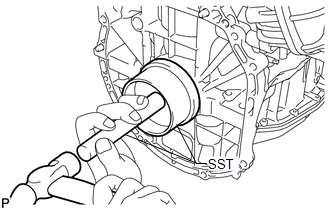 (b) Using SST and a hammer, tap in the oil seal until its surface is flush with the edges of the cylinder block and crankcase. (b) Clean the bolts and their installation holes. 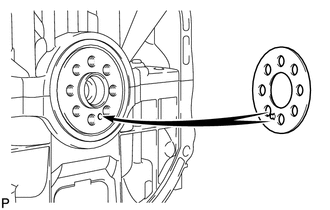 (c) Install the front drive plate spacer. 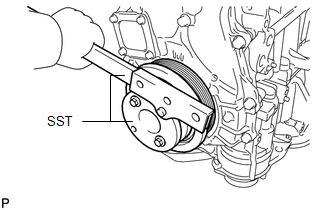 Align the pin of the front drive plate spacer with the pin hole of the crankshaft. 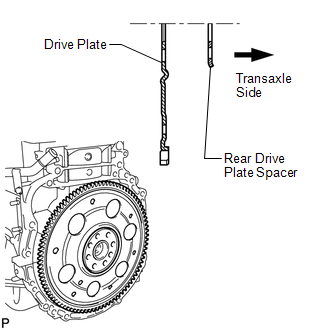 (d) Install the drive plate and rear drive plate spacer to the crankshaft. 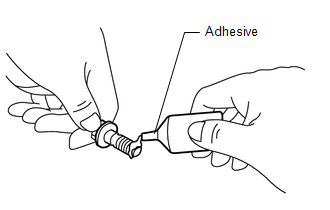 (e) Apply a few drops of adhesive to 2 or 3 threads of the bolt end. 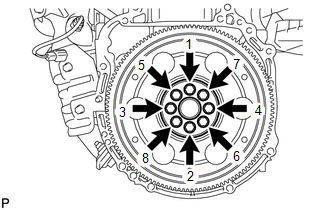 (f) Install and uniformly tighten the 8 bolts in the sequence shown in the illustration. Do not strike or damage the drive plate installation bolts. Be sure to handle them carefully.